This was a fantastic western story. That was written with good characters, and situations that were more real than a lot of other stories that I have read. Mainly the story revolves around sheriff Luke Atwell and his new bride Peggy Mattingly. Jesse Markam is the deputy and is an expert in throwing a knife. The story picks up from the first book which I did not read and gives you a little back ground on each character. You then get into the story of their marriage and then the sheriff leaving for a few days to help another sheriff in a nearby town. Things go on with drunks and shoplifting that you expect and life at their ranch when they are not in town. Peggy owns a general store that mainly sells clothes. 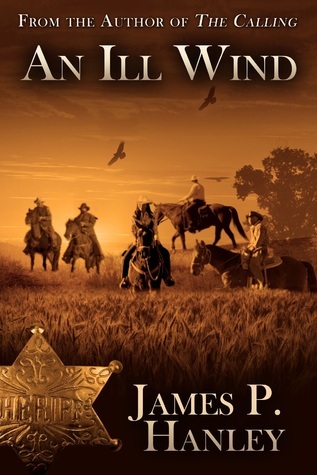 The story goes along and then when Luke gets back Jessie is sent to another town to track down a man that was in town while the sheriff was gone. On his trip he meets Tess who happens to be a female working for the Pinkerton's. Their want for each other is put aside because she still wants to prove herself at the agency. Back in town things continue to happen to where Luke and Peggy adopt a boy and then a storm comes in and rips apart their ranch so they now need to rebuild. About the same time a group of men ride through who are still upset about the South losing the war and kill one of their neighbor’s boy because of his race. Luke gets a hold of the U.S. Marshall and they form a posse to go after the group. This leads them back to Tess who happened to be in a town because her father was sick and had passed away. After this they head back to their town and Tess wants to try and get her job back at the Pinkerton's. I got so caught up in the story I did not want it to end. I was expecting more and that is when I knew that this was a good book and a great read. I got this book from netgalley. I give this 5 stars.